February  Dancing dust? Anti-freeze protein? Snow fleas gather on sunny winter days. What is that black dust on the snow? And why is it hopping??! Ah, my favorite winter insect, snow fleas. These little darlings are not actually fleas, and they dont just live on snow! Theyre entire name is a misnomer. Snow fleas belong to a primitive group of arthropods called springtails or Collembola. The springtail name refers to their unique manner of locomotion: they have a forked appendage, called a furcula, at the rear of the abdomen that is folded underneath the body and held in place by two hooks. Normally they just crawl around in the usual fashion, but when disturbed, they release the hooks holding the furcula, which snaps backward and catapults them forward or upward as much as 100 mm  the equivalent of a 6-foot tall person jumping 402 feet! The motion has a similar appearance to a hopping flea, hence the common name. Snow fleas are quite common, but so small it takes very close observation to see them. Only about one-sixteenth of an inch long (less than 2 mm), they are easier to find on sunny winter days. 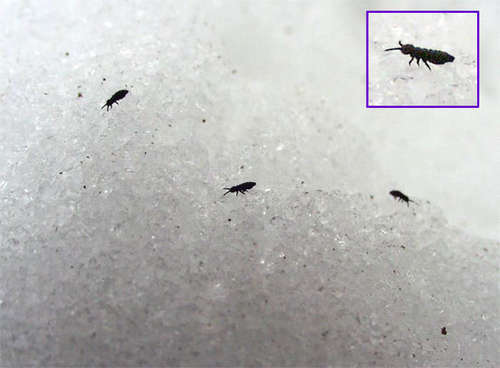 Snow fleas gather to the surface of the snow  sometimes in such large numbers that the snow appears almost black  to feast on microscopic organisms, plant matter, algae, pollen, bacteria, fungi and sap. (Who figured that out? Some very patient biologist watching snow fleas under a microscope?) These detritivores (organisms that feed on decaying organic matter) play a very important role as decomposers in the ecosystem. 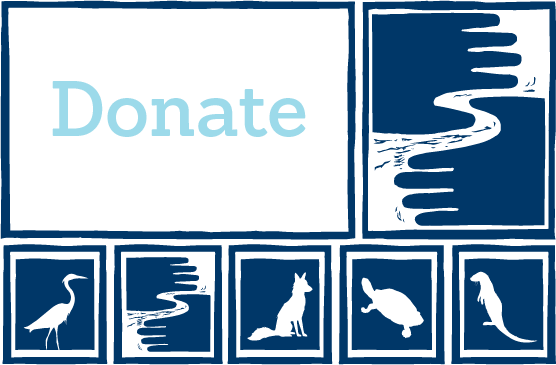 They are thought to be the second most abundant group of soil-dwelling organisms in the world (soil-dwelling mites take first place), and are found all over the planet, even Antarctica. While most insects are dead or dormant in the winter, snow fleas are active in freezing temperatures due to an anti-freeze-like protein in their cells, rich in glycine, which prevents the formation of ice crystals. But snow fleas are not just winter critters, theyre quite active year-round  theyre just a whole lot harder to see without the white background of snow.